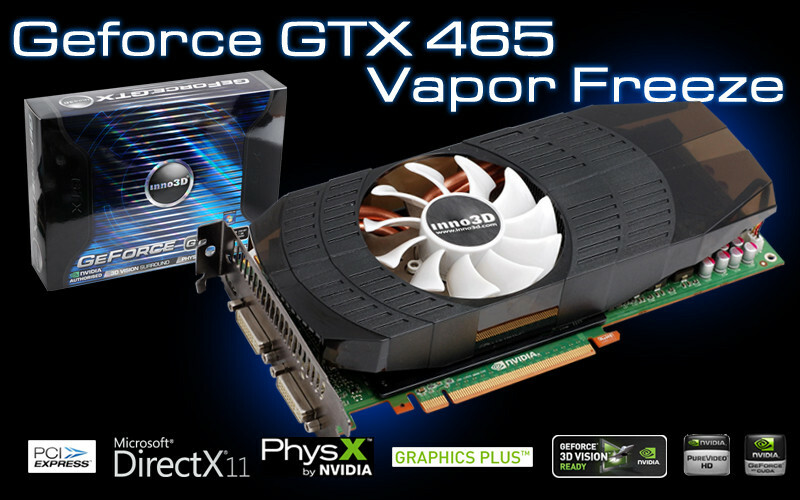 Inno3D released its non-reference design GeForce GTX 465 OC Vapor-Freeze graphics card. This factory-overclocked card uses NVIDIA reference PCB (albeit in green), with its own-design cooling assembly. The cooler makes use of a GPU direct-contact base, from which five heat-pipes convey heat directly from the GPU to aluminum fin blocks on either sides of a 92 mm PWM-controlled fan that spins at speeds of 1000~4200 rpm, with a rated noise output of 18 dBA. 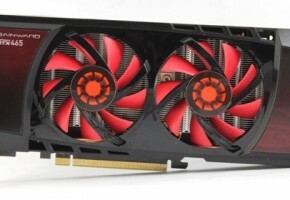 Inno3D claims the cooling solution to up cooling efficiency by 15% over reference NVIDIA cooler. As far as clock speeds go, the GPU is clocked at 750 MHz, 1350 MHz CUDA cores, and 850 MHz (3400 MHz effective) memory, against reference speeds of 607/1215/3206 MHz. 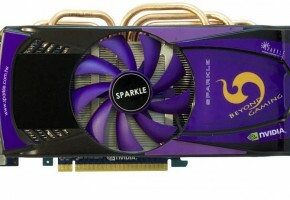 The card has 1 GB of GDDR5 memory across a 256-bit wide interface. 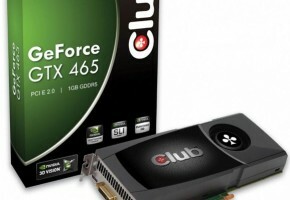 As with every other GTX 465, the card is based on the 40 nm GF100 GPU, it has 352 CUDA cores, and supports the latest PC graphics technologies including DirectX 11 and OpenGL 4. The higher clock speeds, Inno3D claims, up the card’s performance by 10%. Display connectivity includes two DVI and a mini-HDMI. 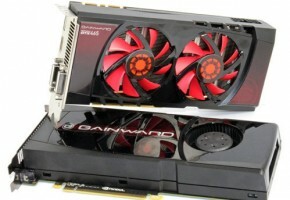 The card is 4-way SLI capable, it takes power from two 6-pin PCI-E power inputs. 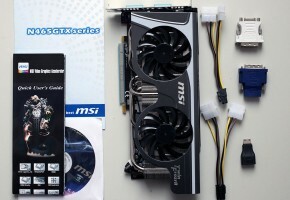 Inno3D did not give out and details about the card’s pricing. 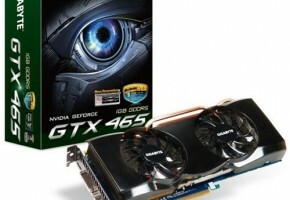 A cheaper variant that sticks to NVIDIA reference clock speeds is also available, it lacks the “OC” marker on the box.